Blend the high quality standards of European chateau, the freshness of a local farm and the casual and friendly atmosphere of a favorite pub. The result: Warwick Valley Winery & Distillery. Started in 1994, the wines, ciders and fruit brandies make Warwick Valley Winery a unique gem in the picturesque Hudson Valley. Warwick Valley Winer & Distillery offers much more than just wine. The winery’s flagship product, Doc’s Draft Hard Cider has received international recognition as a top tier hard cider. Using only the finest apples, pears and raspberries. Warwick Valley Winery has created a premier hard cider from estate-grown and locally sourced fruit. 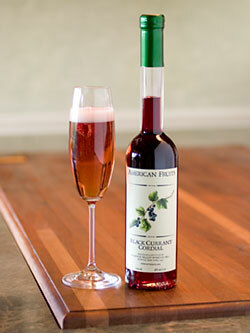 In 2001 the Winery added a distillery to their list of endeavors and is now producing a line of fruit brandies and liqueurs. Whole-fruit fermentation followed by slow distillation results in Warwick Valley Winery’s & Distillery’s exceptional fruit brandies.